It's been three years since Chris Cagle announced his retirement from country music in 2015, but according to a new statement from the singer, Cagle has plans to return for a special live one-off in 2019. The former country star, whose fourth single, "I Breathe in, I Breathe Out," became his first chart-topper in 2002, will headline the Guthrie's River Ruckus Festival in July of next year. But wait -- there's more. Not only will Cagle film his festival performance for a live DVD so that even fans who miss Guthrie's River Ruckus will be able to catch the action, but the singer says his set will include a first taste of new music set for inclusion on a forthcoming new CD. "July 27, 2019, River Ruckus! I'm coming back for 1 show!" Cagle stated on Twitter when he announced the new show. "It's gonna be a blast! Humbled and excited to get to headline bringing new music and shooting live DVD!" In a separate tweet, Cagle added that "It is real, it's gonna happen! New CD and LIVE DVD plus a meet and greet!" Guthrie's River Ruckus Festival's website states that Cagle will be doing "more Meet & Greets than anyone we've ever heard of," adding that fans can secure meet and greet passes when they purchase the Chris Cagle album/DVD package with their tickets to the festival. The festival enters its 11th year in 2019, and will take place in west-central Iowa on July 26 and July 27. In addition to Cagle, Ashley McBryde, Cody Hicks, Diamond Rio and Mitchell Tenpenny will perform at the festival. For ticketing details and more information, go here. 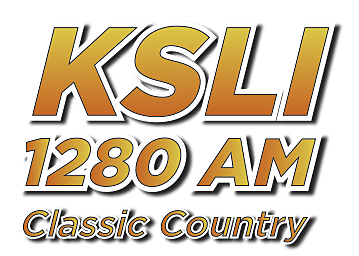 2019 KSLI 1280 AM is part of the Taste Of Country Network, Townsquare Media, Inc. All rights reserved.